Arts Education allows the Foundation to support, nurture and expand on collaborations between organizations in its two primary areas of interest, Education and Arts & Culture. One example is the Herzfeld Foundation’s Arts in Education program which, since 2000, has provided funding for thousands of area public school children to engage in performances, classes and other offerings by numerous community arts and culture organizations. 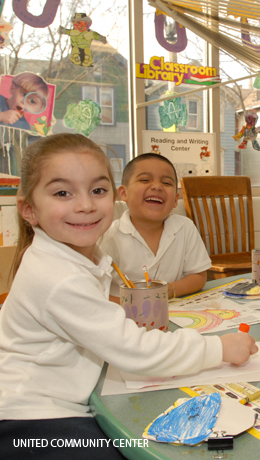 With the Foundation’s support, Milwaukee-area students are able to participate in a wide array of arts and culture with prominent institutions, including Betty Brinn Children's Museum, First Stage Children's Theater, Florentine Opera, Milwaukee Art Museum, Milwaukee Ballet, Milwaukee Repertory Theatre, Milwaukee Public Museum, and the Milwaukee Symphony Orchestra. In the 2007/2008 school year alone, more than 17,000 students from 90 elementary, middle and high schools benefitted from the diverse cultural experiences offered by the Foundation’s Arts in Education Program.